Hey ladies! Today I’ll be doing a short review of the Laneige BB cushion whitening so let’s get to it. 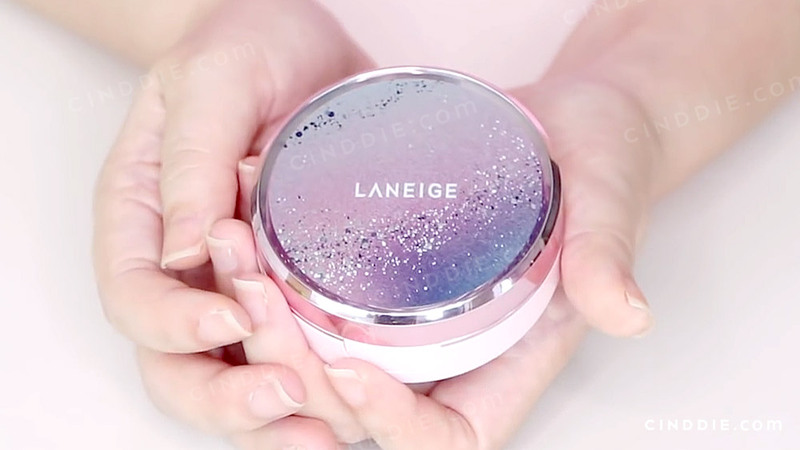 This BB cushion was launched late last year as part of Laneige’s holiday collection called the Milky Way Fantasy! It comes in this really pretty box with some sort of a galaxy theme to it and when take out the cushion, it looks something like this. The cushion case has the same galaxy theme glittery cover, a rose gold rim and a really pretty pastel pink base. When I open it up, you can tell that everything else looks the same as the previous Laneige BB Cushion pore control version except it’s a pink ribbon on the sponge instead of a white one. Here’s a pic of the older one for comparison. I was previously using shade 21 for the pore control cushion but I found it a little bit dull on me so I’m going to be trying out shades #13 and #21 for the new cushion. Now I’m just going to be swatching the two shades on my hand. First up is 13 in ivory and the next one is 21 in beige. Okay, I know the color difference between the two shades look pretty obvious on screen but trust me they were really similar to the naked eye especially after I blended them out. These 2 shades (#13 and #21) are actually really close and after swatching them, I still can’t decide which one I should use so I’m just going to go ahead and apply these 2 on each side of my face. How does the Laneige BB Cushion look after applying? With both shades applied, I’m actually liking how much coverage this BB cushion gives. I would say it gives a light to medium coverage and you can see it managed to cover most of the red spots I had on my cheeks! I also have HUGE pores so one thing I really like about this BB cushion is how it doesn’t sit inside the pores but rather goes over my skin for a very nice and natural matte finish, All without leaving an oily and sticky feeling. Here’s a close up of my face, I went ahead and slapped on some blush so all I’ve got on my skin is the BB cushion and the blush. The cushion gives a really nice natural matte finish and covered up most of the redness and spots I had on my cheeks. the cushion also did a really great job at minimizing my pores. Well I can still see them they are much less visible than they usually are. And in case you’re wondering, i’m using Laneige’s two tone lip bar in fruits candy bar. Because this BB cushion has a light to medium coverage I think this is better for people who has naturally good skin but if you have acne prone skin and you want to use this product, by all means go ahead but you may want to add on like concealer or setting powder on top of it for a more flawless finish. To be frank, I was actually quite surprised by how well this product performed and how good it’s coverage was. My only gripe is how little product there actually is in the container but overall I still feel like it is one of the better cushions I’ve used, and is still worth giving it a try. So we’ve come to the end of my short Laneige BB Cushion review. I hope you’ve enjoyed it. Please let me know if you have anything else you want me to try just leave it down in the comments below! The Laneige BB Cushions are $39 ($28+ for refills) and are available at all Laneige Counters and Laneige online retailers. 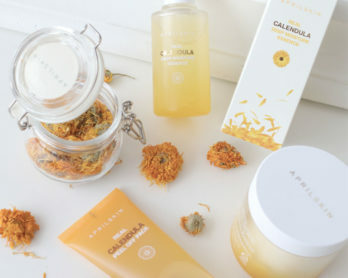 Follow me on my beauty journey! I’d love to have you come along!